At face value, this statement only speaks from the man's perspective. That is to say, when a man is born Heaven announces his destiny. This "destiny" consists of his destined wife, his destined field and his destined house. However, the Talmud makes no mention of a Heavenly announcement preceding a woman's birth wherein Ploni is destined for the Daughter of Ploni. Prior to the formation of the fetus. It appears to Rabbi [that the Talmud is referring to] prior to the formation of the male, whether or not the female has been born yet. In light of all this, is there actually an explicit Talmudic source that women have destined matches as well? Is this issue discussed in Rabbinic Literature (either on this Talmudic passage or elsewhere)? Have any contemporary shidduch discussions noted this? It appears that I might not have done a good job explaining what I am asking. My question is based on two premises. In my exposure to the Jewish world it seems that everyone takes for granted that there is a concept (sometimes referred to as "bashert") that every (Jewish?) person has a destined mate. This is not to say that everyone will automatically marry this mate, but it is to say that in a sense God has picked out a mate for each person. This concept is often used to comfort/encourage those who are having trouble finding a spouse, and most often seems to be based on the above Talmudic statement. To me it appears that the simple understanding of the Talmudic statement is that God picks out a woman for every man. It does not seem to say that God also picks out a man for every woman. 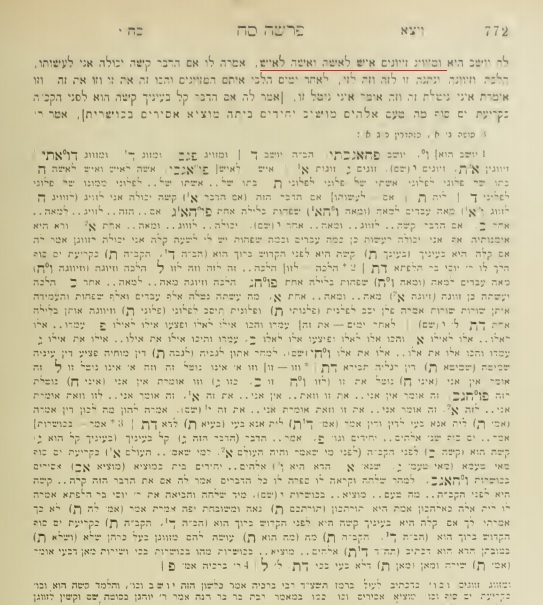 I cited Tosafos and the Maharsha because they both have comments to this Talmudic statement that indicate that they are aware that the Talmud appears to be speaking specifically to men. Even before I ask the actual question, one can answer by challenging either of my two assumptions. If either of my assumptions is proven incorrect (either via sources or some other form of argumentation) then the question will never start. I am not asking a question on the Talmudic passage. I am not asking a question on Tosafos. I am not asking a question on the Maharsha. I am not asking a question about statistics. I am not asking why there should be a difference between men and women. What I am asking is simply how we justify premise # 1 in light of premise # 2. That is to say, why is there such a pervasive belief about destined matches that is unsupported by the Talmud? Again, someone can answer by saying that I am wrong and there is not such a pervasive belief. Someone can answer that I am wrong and the belief is supported by the Talmud (I believe that is what this answer is attempting to do). Someone can answer that the belief serves a greater purpose so we keep it despite it being unsupported by the Talmud. Someone can answer that the great commentaries have struggled with this very question for hundreds of years. Someone can answer that the belief is indeed incorrect, but it will rarely have a practical impact (due to similar number of boys and girls) so nobody cares that the belief is technically not correct. (Perhaps that is what this answer is arguing.) There are many different ways one can go about answering this question. Of course, answers with sources are very valuable; mere assertions have much less value. Thank you to those who have already commented/answered. If I have still failed to adequately explain my question, please ask me to clarify further. If I have understood this correctly, he says that זוג שני in the gemara must refer to the second marriage for both man and woman. If it was first marriage for either, the marriage would have been from the decree pre-conception. This assumes that the statement in the gemara applies to both genders equally. The phrase that I bolded might be the answer to the question here. The apparent redundancy of "man to woman" and "woman to man" may be telling us that every man has a woman who is his match, and every woman has a man who is her match. If this understanding is correct, this would be a source in Hazalic Literature that both men and women have destined matches. The version in Yalkut Shimoni, both in Bereshis 117 and in Tehillim 794, has this phrase as well. You seem to have provided pretty good sources that this gemara in fact does not apply to women. I agree with your conclusion based on your evidence. You ask on this, how is it that "everyone" uses this as a source for the idea that everyone has a predestined match. I believe that you are requesting a source that would discredit your sources. I disagree with your approach. First of all, we don't know who "everyone" is. However, taking "everyone" into consideration, suppose you are right, and there is no source for women being given a predestined match. "Everyone" would still be right! That is, because at least 95% of women (so be super safe) are the subject of some man's bas kol. This should give heart to any girl struggling with shidduchim, that someone out there is meant to go and find her, and her name has already been picked for the special someone out there for whom she was chosen by Heaven. I believe what I write is very sensible, however it does not provide you with that which you asked for, that is, "is there actually an explicit Talmudic source that women have destined matches as well? etc." This question should look at the math. Example: There are 100 males and 100 females in the set of births. As long as a particular girl is designated for one of those particular boys, then by definition, they both have a "destined" match. So both need to be true. Saying "every boy has his girl" causes the statement: "every girl has her boy." to become in a sense, redundant. It is two sides of the same coin. The difference however can be shown in a case where a man marries his destined woman who happens to be 2 years older than he is. So, when she was born, her future husband's "40 day pre-birth announcement" was not yet made. She then lived for 1 year, 10 months, and 20 days as an infant, without any designated match. Then the boy's announcement was made, and she became designated to him at that point in her life. However, when the boy was born, he never existed a day on Earth without his designated girl. So, in that sense, a woman can be born "clean" without a "mazal" or designation, while a man cannot. The alternative possibility (that there could be some people born without a designated match, boy or girl,) is not ruled out by the quoted Gemara in Sotah 2a. The Gemara merely says that the time for destined matches to be announced is 40 days before the formation of the boy-fetus half of the match. It need not be read to mean that everyone must have a match, or that such a match must happen on Earth, or that matches cannot be changed etc. Therefore, any other combination of inquiries into statistics of live birth ratios (male vs. female) , divorce rates, infant mortality, etc. are all moot. Rather, it is simply that the designation is made based on the readiness of that particular boy as was said above. Not the answer you're looking for? 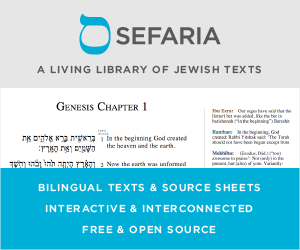 Browse other questions tagged sources-mekorot hashkafah-philosophy shidduchim-dating tractate-sotah .